Artex was very popular in the 70s & 80s & covered a multiple of sins. These days many people dislike artex, preferring a smooth neat plaster finish. 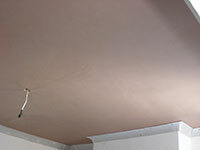 Our London plasterers can safely plaster over most existing artex surfaces*. 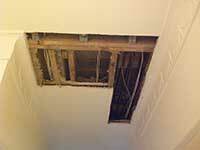 Coving provides an elegant look to most rooms & hides uneven joins between ceilings & walls. 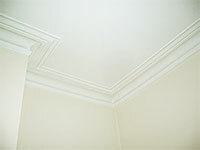 Our team of plasterers supply & fit a select range of plaster coving. 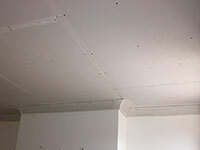 'Float & Set' is a plastering technique used to level up walls with a backing plaster possibly prior to tiling or application of finishing plaster (see skimming plaster services. 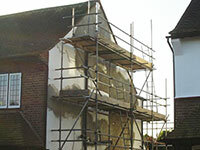 Consult one of our professional london plasterers for more advice. Our team of professional plasterers can plasterboard walls & ceilings or simply a small area as part of a plaster repair. Our plasterers can offer internal & external Rendering plastering services, perfect for that new breeze block extension or exterior wall. 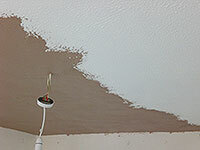 Skimming is what most people think of when they talk about plastering. Our Plasterers offer a 2 coat skimming / re-skimming plastering service to transform your rooms walls & ceilings with a professional smooth contemporary look.